In 2010, Arizona’s Republican leaders froze enrollment in KidsCare, our state’s Children’s Health Insurance Program. As a result, Arizona ranks third in the United States for the number of children without health insurance. Democrats recognized KidsCare’s importance all along and, and with community partners, we led the years-long charge to restore the program. Reopening KidsCare enrollment should have been the least controversial vote in the legislature this year. The program helps keep our children healthy and is completely free to Arizona until at least 2018, and likely until 2020. Instead, it took several votes over several months while Republican legislators used the issue as a political football. But Democratic perseverance paid off and about 30,000 children became eligible this month to sign up for KidsCare. And the benefits of an active and robust KidsCare program are many. 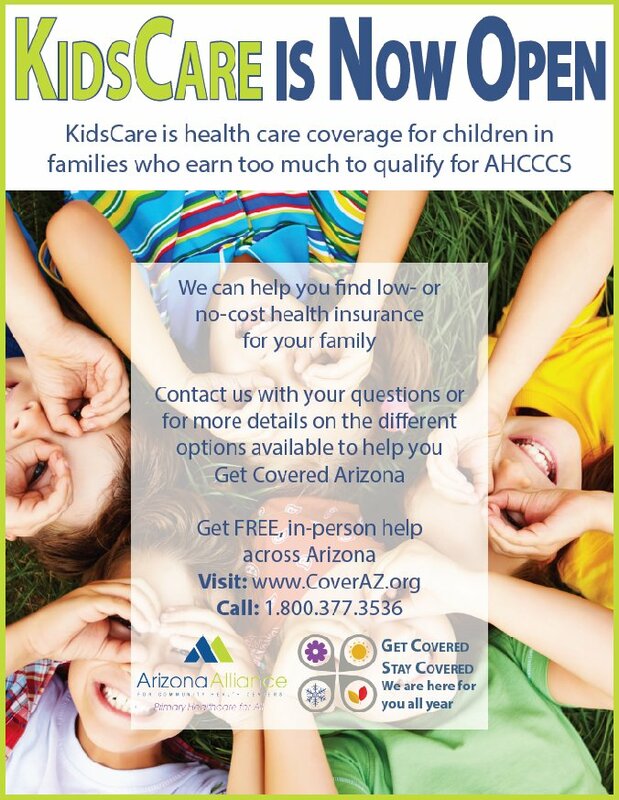 Beyond getting 30,000 children health insurance, for free, KidsCare offers Arizona numerous economic benefits. Reinstating enrollment is expected to add around $75 million to Arizona’s economy next year alone, not to mention millions of federal dollars that would have gone to other states if we had not acted. And the nonpartisan Grand Canyon Institute found that KidsCare has long-term benefits as well, including increasing high school and college graduation rates. Families who meet the necessary qualifications can apply for KidsCare online or print an application here, or call 1-800-377-3536 for free assistance. Coverage begins Sept. 1, 2016. Families in and around Tucson looking for enrollment assistance can also attend an event on Aug. 6 from 9 a.m. to 2 p.m., hosted by the El Rio Community Health Center at 839 West Congress Street in downtown Tucson.